Top Music Producers & Recording Studios in NYC! Experience the difference in your confidence and trajectory when you have a well developed, radio quality song to help promote your career! Threshold Recording Studios NYC is an owner-operated music production facility located just west of Times Square in Manhattan's exciting Hell's Kitchen neighborhood. In business Since 1997, Threshold is well regarded as one of the finest sounding control rooms and drum tracking studios in the city with a long list of great happy clients. We also have an awesome grand piano for recording! Blessed with great artists, our productions speak for themselves. 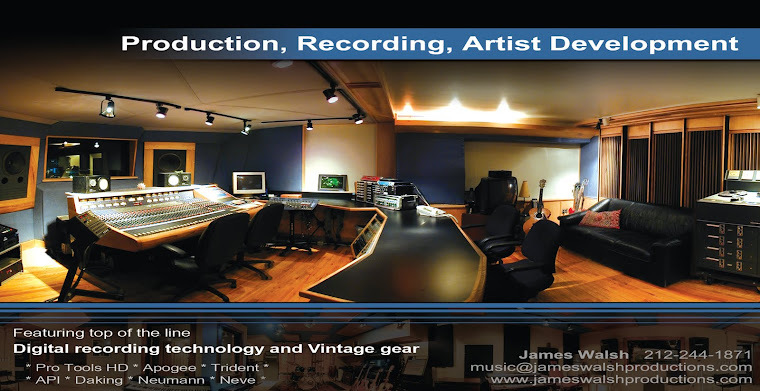 Combining this level of of resources- a world class recording studio and established top tier production team with long term industry and musician relationships, in a affordable production package, makes engaging Threshold Studios and James Walsh Productions the obvious choice for your music. Our Clients include Singers, Songwriters and Bands- Labels, Networks and Brands. Please visit the Threshold Studios Website for Studio and Production information. Threshold Recording Studios NYC is the premier Music Production and Recording Studio in midtown Manhattan. Our clients and relationships include Singers, Songwriters, Bands, Networks, Labels and Brands. Early Career Development is our specialty. Give us a call- and let's create the perfect production together. 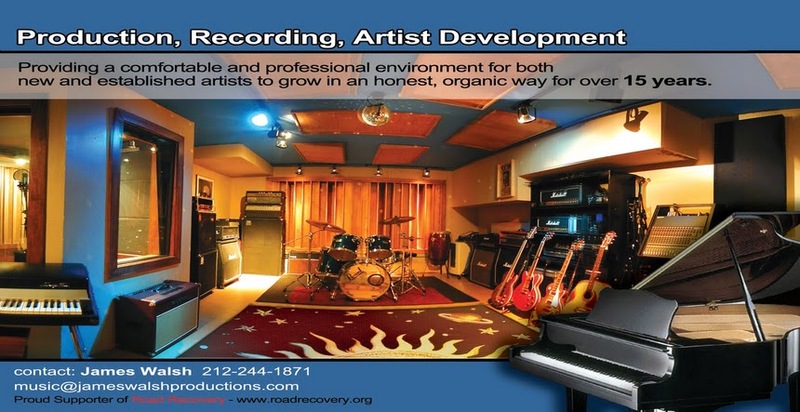 James Walsh is a Music Producer, Artist Manager, owner of Threshold Music Recording Studios in New York City, Executive board member of Road Recovery . ROAD RECOVERY is dedicated to helping young people battle addiction and other adversities by harnessing the influence of entertainment industry professionals who have confronted similar crises and now wish to share their experience and knowledge. With support from the mental health field, ROAD RECOVERY provides hands-on mentorship training, educational/performance workshops, peer-support networking, and “all access” to real-life opportunities by collaborating with young people to create and present live-concert events. ROAD RECOVERY empowers young people of all backgrounds to face their struggles and helps them develop comprehensive life skills, guided by professionals and supported by a community of like-minded peers.